Winklevoss Twins May Reap $300 Million From Facebook IPO : The Two-Way That is somewhat ironic, of course, since they so famously sued Facebook CEO Mark Zuckerberg for allegedly stealing their idea when he created the social media website while they were all students at Harvard. The case was eventually settled. 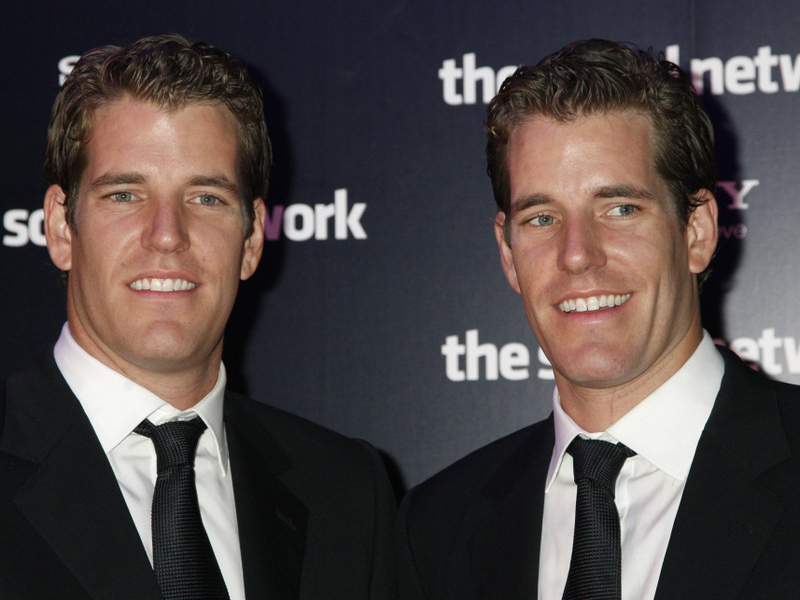 Tyler (left) and Cameron Winklevoss. Before we finish the week, we have to pass on at least one more story related to Facebook's plan to raise about $5 billion with its first sale of shares to the public. It seems that Cameron and Tyler Winklevoss — the "Winklevii" twins — could get up to $300 million worth of Facebook shares when the deal goes through. And that's noteworthy, of course, since they so famously sued Facebook CEO Mark Zuckerberg for allegedly stealing their idea when he created the social media website while they were all students at Harvard (a chapter of their lives chronicled in The Social Network, a movie that didn't present the Winklevii in that flattering a light). After much legal maneuvering, the twins came away with about $45 million worth of Facebook (non-public) stock. Now, if the initial public offering does indeed happen, their stake is expected to grow substantially — though it won't rival the $28 billion or so that Zuckerberg's post-IPO share of Facebook's worth is expected to be, according to Bloomberg Businessweek. "We r excited 4the #FacebookIPO + wish the company + all involved the very best,an amazing accomplishment!" Whether the Winklevii are really that happy, though, might depend on what they think about this news: David Choe, an artist who painted a mural at Facebook's first offices and was paid with about a 0.25 percent share of the company, stands to earn about $200 million from the IPO.